What is a risk? What is a threat? What is vulnerability? These are some questions that are generally asked by businesses around the world. When you are running a business, you will have to face risks, threats and you will surely be vulnerable to one or more threats. 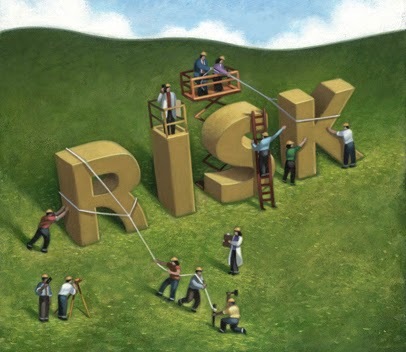 Risk is the likelihood of loss or the likelihood of financial loss of a business. Whenever you are doing business risk assessment, you will have to be thinking about what is the actual impact on the entire business. When a business understands the financial ramifications of the risks, it will do all that it takes to minimize the risk. In fact, it will also pump in a lot of money if it is seen that the systems can mitigate the risks. Risk is a business concept and it is eventually the likelihood of loss to the business and the business processes. A risk matrix is a part of a business risk assessment strategy. In this matrix, there is a graduated response between the lowest possibility right up to the highest possibility—lowest impact to the highest impact. Controlling dangers in the business is no different from tackling any other task. You need to recognize the problem and decide what needs to be done to prevent the risks. Also, if there are some solutions identified; then they need to be put into practice as well. There are three basic steps to risk assessment. First, you will have to look at the business hazards. Second, you will have to identify who and what will get affected by the business hazards. Third, you will have to evaluate the risks. If you don’t have the expertise to do a business risk assessment, you will have to check out a very good risk assessment and management service. Risks are inevitable in business, but understanding them and doing the right thing to mitigate them is paramount for the success of a business. In a business scenario, financial risks are unwelcomed threats that can permeate into the business at any point of time. Business risk managers have to properly equip themselves and the company with risk management strategies so that they can meet those risks head on. Meeting risks at the right time is very important, but meeting them with minimal setback is very important for all businesses. In another business parlance, business risk is defined as an uncertainty that is affiliated with certain circumstances that could impact the business negatively. Such risks can cause financial insecurities for the firm and also render a business inoperable. In other words, a business risk assessment is a systemic process of understanding whether a particular uncertain condition has a potential to threaten a business and its operations.